The Finn triumphed in this year’s Australian opener and has finished runner-up in every other grand prix bar Malaysia, where he came home seventh. “I don’t see why we should be surprised; I don’t think there is any magic behind it,” Raikkonen said. “We wanted to improve on the start to last year and we have done that. “I know the team and they know me, we have more experience [and] we’ve been quite consistent and quite fast this year. “The aim was to start the first races better and we’ve already put ourselves in a strong position. “We wanted to win more races already, but it hasn’t happened. 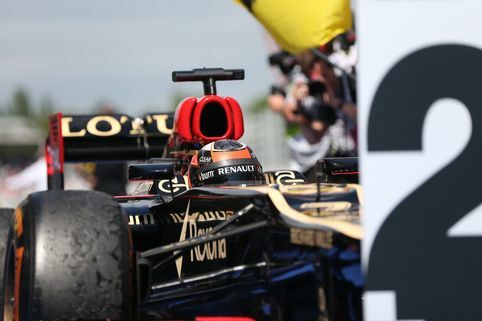 Despite the apparent difference between Lotus’s qualifying and race pace – which the team believes it can address at Monaco – Raikkonen does not believe the team is unduly benefiting from Pirelli’s high-degradation rubber. “It’s changed a bit over the years but I think the main things are still the same,” he said of the nature of this year’s racing. “If you’re not fast, you’re not going to be on the podium; first you have to be strong enough to put yourself there. It all boils down to better qualifying, Kimi-baby! That’s the key. Speed is not really an issue any longer. Get quali right, and who’s to say how far you gonna go . . .